Shaving has never been an enjoyable activity for me, especially when I was left with unsightly bumps and rashes on my face and neck. About twenty years ago, a friend of mine gave me some tips he learned from an entertainment legend that helped me achieve perfect shaving without bumps or rashes. When I was a road comic, I often traveled as the opening act for my buddy Sal. He noticed that my shaving always created rashes and bumps around my neck, which were only made worse when I wore a collared shirt. One day, Sal said, "I learned this shaving method from Red Skelton when we worked together in Atlantic City. I'll show it to you." Step one involves thoroughly washing your face with cool or cold water and soap. The cold water tightens your skin and exposes more of the whisker. Lather your face with shaving cream, but really work it into the whiskers. Don't just wipe the shave cream around your face. Shave in a downward direction across your face, chin and neck. Rinse with cold water. Reapply shaving cream to your face and work it in to the remaining whiskers. 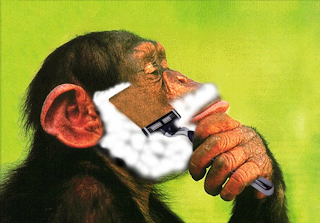 Now, shave in the opposite direction, stroking the razor on your face in an upward direction. Or in a sideways direction against the grain of any whiskers on your neck. You should have an incredibly close shave and it should be free of irritation. Women can try this two-step method to their own shaving. I'd love to hear how the results turn out. Every time I pull out my razor and shave cream, I think of Sal and Red Skelton's method for perfect shaving without bumps or rashes.